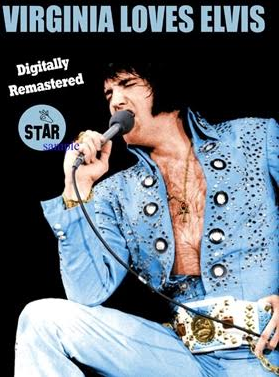 A new digitally remastered DVD from the STAR label 'Virginia Loves Elvis'. Recorded live at Hampton Roads Coliseum, April 9, 1972. (8.30 pm). Hampton, VA. Long awaited brand new STAR release is finally ready, and it was worth the wait! This digitally remastered set has been re-edited from scratch, including new angles and rare outtakes, presented in deluxe digipack, and full WIDESCREEN. Some highlights are the COMPLETE versions of "An American Trilogy" and "Love Me Tender" and probably the winner would be "How Great Thou Art" presented in MULTI ANGLES with some very rare footage, it brings it more "alive" since you see both Elvis and The Stamps Quartet harmonizing the song! FTD or Sony LEGACY please when ?